Baltimore’s best paintless dent repair company. We offer high-quality paintless dent repair, hail damage repair, motorcycle dent repair, bumper dent repair. 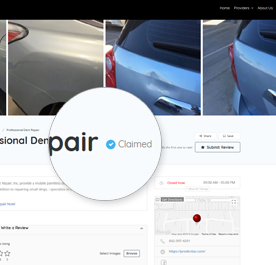 We are #1 trusted dent repair company in the state of Maryland. Call today and see what separates us from rest! Best experience ever had !! !